David COHEN, Director of the WSD Handa Center for Human Rights and International Justice and the Asian International Justice Initiative. David Cohen is a leading expert in the fields of human rights, international law and transitional justice. Cohen taught at UC Berkeley from 1979-2012 as the Ancker Distinguished Professor for the Humanities, and served as the founding Director of the Berkeley War Crimes Studies Center, which moved to Stanford at the end of 2013 and became the WSD Handa Center for Human Rights and International Justice. Cohen is now a visiting professor at Stanford, Professor in the Graduate School at UC Berkeley, and Professor of Law at the William S. Richardson School of Law, University of Hawai`i. His involvement in research in war crimes tribunals began in the mid 1990’s with a project to collect the records of the national war crimes programs conducted in approximately 20 countries in Europe and Asia after WWII. Since 2001, Cohen’s work had largely focused on contemporary tribunals and transitional justice initiatives. 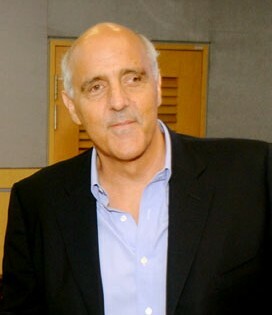 Cohen has led justice sector reform initiatives and tribunal monitoring programs in Indonesia, East Timor, Sierra Leone, Bangladesh, Rwanda and Cambodia. At the regional level, Cohen has worked closely with the ASEAN Secretariat and the USAID Technical Facility to the ASEAN Secretariat, in forming and leading an expert group to create a Human Rights Resource Center for ASEAN. Cohen serves as the Advisor to the Executive Director and the Governing Board of the Resource Center and leads the Center’s research projects. Cohen also directs the Summer Institute in International Humanitarian Law and Human Rights, a regionally focused summer course held in Southeast Asia every year in partnership with a local institution. Professor Cohen received his JD at UCLA’s School of Law, his PhD in classics and ancient history from Cambridge University, and an Honorary Doctorate in Law from the University of Zurich. He has been a Fellow at the Hoover Institution at Stanford University since 2009.